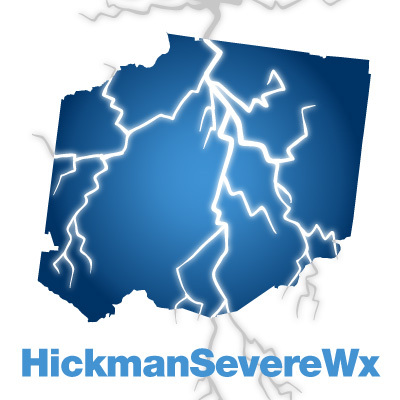 Update 2:30pm – SPC has removed us from any wind or hail threat today. So those chances are 0%. Summary: Another wet day. Followed by another wet day. And another. Today we will likely see hit and miss scattered showers as the day progresses, once these AM showers move out. It’s possible that we here some rumbles of thunder throughout today, but these are not expected to be severe. Our high temperature could reach about 73 degrees while our rain chances are 60%. The SPC has us under a MARGINAL category for severe weather. This is very low and means they can’t rule out the chance of a severe storm, but it is unlikely you will experience one. IF we see any severe weather (that is a BIG IF), it would be a 5% chance of seeing damaging winds or hail larger than one inch within 25 miles of a point. Below are the two SPC graphics stating such – first one being wind, the second one being hail. Translation: You have to be somewhat lucky to get a rain shower (after these AM showers move out), then you have to be really lucky to experience severe weather today. Today’s overnight low will be 61 degrees with a 70% chance of rain. These are likely hit and miss showers that could come overnight. Thursday is much of the same. Thursday will be a repeat of today, with rain in the AM and scattered activity after the AM rain pushes out. Our high temperature will likely be 73 again with a 40% chance of rain. 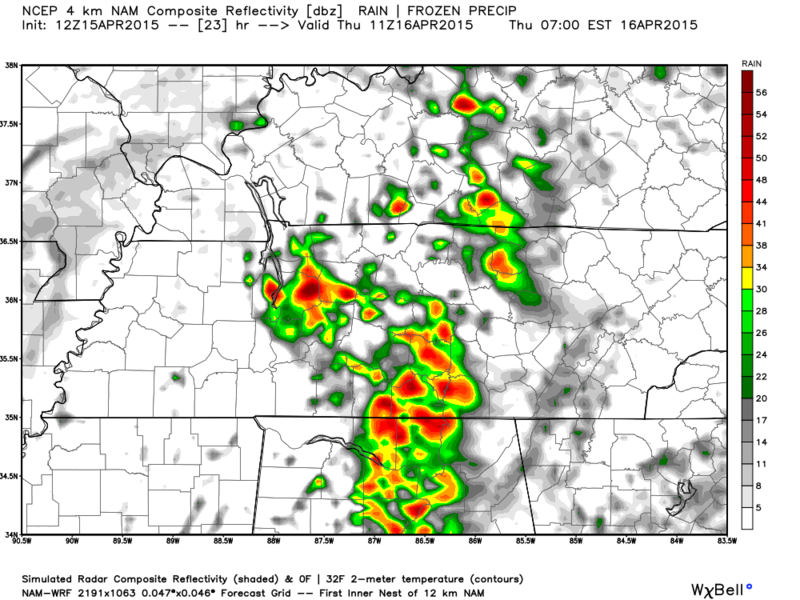 Here is NAM4’s prediction for 6am Thursday morning. The SPC has us back under a THUNDERSTORM outlook for tomorrow, so only general thunderstorms if that are expected. No severe weather is expected. Thursday’s overnight low should fall to about 59 degrees with a 30% chance of rain.